My grandmother, Nan, loved to receive shirt boxes at Christmas every year. Not shirts, just the boxes. After Christmas, my mom and I would bring them over her house, where she would stack them in a closet, then insist we sit down at the kitchen table and have something to eat. Wondering what she did with all those boxes? She used them store her pizzelle cookies. She needed a lot of boxes because she made a lot of pizzelles -- for birthdays, anniversaries, and holidays. It's not just my grandmother, all Italians enjoy them for celebrations. Pizzelles are round Italian waffle-like cookies made from flour, sugar, eggs, and butter and are typically flavored with anise or vanilla. The name pizzelle comes from the Italian pizze, meaning "flat" or "round." Believed to be the oldest cookie in Italy, pizzelle have an unusual past. According to legend, in 700 BCE, snakes had infested Abruzzo, in south central Italy, and after they were banished, the townspeople celebrated by eating pizzelle. To this day, they are eaten to celebrate the Festival of the Snakes, now known as the Feast Day of San Domenico. Pizzelles were originally baked over open fire using irons that were embossed with a family or village crest. Today they are made using a pizzelle iron, which is similar to a waffle iron, but has an attractive floral pattern rather than a grid. I can still picture my grandmother standing at her kitchen counter making pizzelle. She would pour the thick batter onto the iron, close the long-handled cover, and wait for the sizzling sound of the batter baking. When she lifted the cover, there would be two perfect flower-embossed pizzelle. It would takes hours to make them, and the aroma of anise would perfume her tiny apartment. Nan is 99 years old and in a nursing home now. Thanks to her son-in-law, my dad, her tradition is alive and well. He recently made a batch and FedExed them to us. Just smelling the anise brought me right back to Nan's little kitchen. She would be thrilled to know that her pizzelle are on my blog for so many people to appreciate; they were her pride and glory. I'm submitting this, on my Dad's behalf, to Eat Christmas Cookies. Click here to see all of the festive entries, including my mom's Molasses Cookies (the second entry). You have 14 more days to submit your cookies and become eligible to win Sherry Yard's delicious new cookbook. Click here for details. Note: Most pizzelle recipes call for anise extract, but Dad uses actual anise seed, which is more flavorful. Remember, you need a pizzelle iron to make these cookies, so click here if you'd like to buy one. Please see this post for a step-by-step visual guide on how to make pizzelle cookies. Beat eggs and sugar. Add cooled melted butter, vanilla extract, and anise seeds. Sift flour and baking powder in a bowl and add to the egg mixture. Batter will have a dough-like consistency. With your hands, roll into one-inch round balls and place in the center of the pizzelle iron grids. Close the cover of the iron and bake for about 45 seconds, or until golden brown. Remove from iron and place on a cookie rack to cool. Pizzelle will last for a couple of weeks if stored in an air-tight container and kept in a cool area. Follow baking instructions from above. 1. Omit vanilla and anise extract and add 2 tsp rum and 2 tsp grated orange peel. 2. Omit vanilla and anise extract and add 1 Tbsp almond extract and 1 cup finely chopped almonds. My mom's simple and scrumptious recipe for Italian Pignoli Cookies. My mother-in-law's fabulous Italian Almond Biscotti dipped in chocolate. Oh Susan I've read about these for years and always wanted to make them. I only wish I could try one of yours today! How lucky you are to have your Dad baking Nan's Pizzelles! Susan, I've enjoyed the anise flavoured Pizzele. These are great with a Greek coffee or espresso. Just stunning, those pizzelles! and I'll bet the smell while you bake them is amazing too. What a beautiful Christmas gift! Bravo to your Dad for continuing the family tradition! These are gorgeous! Is it easy to purchase a pizelle iron? That's so nice that your dad bakes pizelle! I love the design of the pizelle iron. My Nona passed away over the summer and this will be our first holiday without her pizelles. My daughter and I will be making them ourselves this year and can't wait to dive in! Isn't it wonderful to have something your nan used to make and now that your dad continues the tradition, maybe u will too continue with the tradition. I make waffels but the belgian ones. I've always wanted to bake pizzelle, but I don't have an iron -- and am hesitant to add yet other gadget to my ever-growing collection! But they are sooooo good, and this recipe looks particularly delicious (I love the anise seed suggestion...). Tanna-And I wish I could share one with you! Peter- Mmmm... with Greek coffee, huh? That's sounds great. 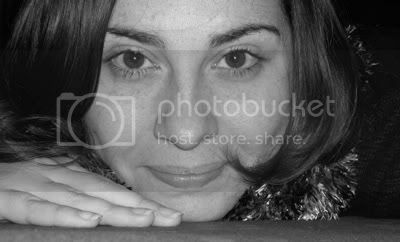 Suzana-Many thanks! They are pretty. T.W.-I second your bravo! For the iron, just click on the link in the post to buy one online. Linda-I know, he never forgets us. Wicked Good Dinner-I'm sorry to hear about your Nona. I'm sure she'd be thrilled to know you are continuing her tradition. It warms my heart to hear it. Happy Cook-Mmmm...Belgian waffles. That's another tradition I should start! I got it this morning, and it's already posted! Thanks! Dana-I know what you mean about more kitchen gadgets. This one is worth it though! I've always wanted to buy a pizzelle iron and try to make these. We never had them when I was growing up (because I never had an Italian grandma), but I've come to love them as an adult. The anise flavor is so subtle, and so delicious. these have to be some of the most gorgeous cookies ever made. real eye-candy. 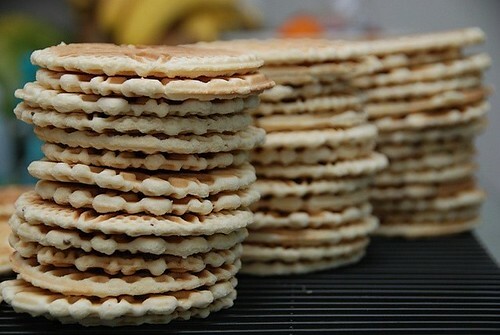 look at your perfect pizzelles! goggle, wink! My mother recently gave me my grandmother's pizzelle iron - I've yet to use it - must try this Christmas! Maybe I'm a heathen but these sound like they'd be good with Nutella spread on top. I love that stuff. I was so happy to see these on your blog! I was just talking to my husband about these cookies and he'd never heard of them. My polish grandmother made them, though I have no idea how this Italian cookie became one of her traditions. The flavor reminds me of childhood, for sure. One of these days when I have more space, I might get a pizzelle iron. Wow, these are some amazing cookies i've never even seen before..Just wonderful. susan, i love pizzelle too. i've made chocolate with sesame seeds pizzelle which are not traditional italian, but delicious as well. you did very nice making the pizzelle! These cookies look wonderful. I saw some on another blog today and was intrigued. They are so beautiful! Your idea of cookie map is just wonderful! You have put a lot of time and effort, I'm sure we all highly appreciate, and enjoy it a ton! Love the story behind the pizzelles! What a sweet tradition that you now pass on to us! The iron gives such a beautiful shape to these cookies! Lydia-The flavor is subtle, which is why I usually can't stop at two. Or three. Sognatrice-That is ironic! And as for the crumbs--I wouldn't toss a single one. Scribbit-Nutella could only make them better. Julie-I know what you mean about the lack of space. Let me know if you ever find out how your Polish grandmother started baking pizzelle. Maya-I'm so glad you know about pizzelle now! Eliza-That sounds like an unusual and tasty variation. I'd like to those as well. Susan, You and I have more in common than our names. I am also Italian, born in NYC. My Dad was from the Frosinone area. I still have a lot of family there. I also have many relatives, including my sister-in-law from Rhode Island. I've been enjoying your posts. It reminds me a lot of my own experiences growing up. Pizzelles are my favorites. My Mom has 2 irons because we go through them as fast as she can make them! Unfortunaltely, they don't hold up too well here in Florida. Too much humidity. I have the same problem with cannoli shells. We always have them at Christmas. A wonderful tradition. Happy Holidays, Susan! ooohh this is similar to those Indonesian cookies, and they are made in an iron pan. these cookies look so light. can't be that hurt to eat more than two, can it? If these cookies could sing, we'd hear the sweetest rendition of "I Feel Pretty" from West Side Story. Susan--I'm sure these cookies are delicious, but I'm chiming in to praise the photography. Breathtakingly beautiful. Seriously. SGCC-You should email me about your sister-in-law. You know the way everyone in RI knows everyone else! Two irons--why hadn't I thought of that? I've got to get my dad another iron! Maryann-I'm coming to check it out! Arfi-I hope not because I always eat more than two. Chris-I know what you mean! I have never made pizzelles before and have not seen a pizzelle iron here in the UK. Thanks so much for this post! PS Good luck with the awards, I voted for you! Ronell-Thank you for a lovely comment. Nic-Thank you for your kind words and your vote. fungosquiggly-Oh, I hadn't thought of that. I'll let you know if I find anything out. My gramma also used to make pizzelle cookies from scratch around Christmas-time. 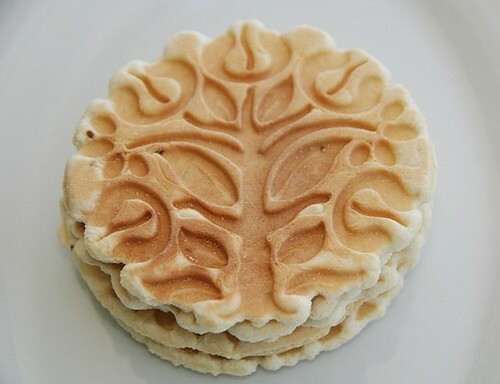 She used a special pizzelle press (like a waffle iron) to make them. While the pizzelles were still warm after coming from the press, she would roll them and make cannolis out of them! I remember her cookies so well, and I even posted an entry in my cookie blog (oatmealcookie.typepad.com) about her old recipes and cookbooks. Perhaps someone can help me with a pizzelle-related question. I've been searching the web and can't find anything! My family is Italian and my grandmother has always made pizzelles (there are several dozen at the table now, waiting to be eaten on Christmas!). The odd thing is that my entire family has always called them (phonetic pronounciation) CHEL-DOOR-NEEZ. I have no idea when this word came from or if it's even another word for pizzelles, but my grandmother said that she learned of them growing up in Italy. Also, how would you even spell this word? Cheldorne? Cheldornie? They all look wrong! Can anyone shed some light on a life-long conundrum? Many thanks!! Danielle - It sounds like a dialectical pronunciation of cialde, which means waffles. I would appreciate any help! I'm trying to make them for his upcoming 87th birthday! Thanks! anonymous-We make Italian pepper biscuits (which I have posted on this blog -- check under "cookies"), but they don't include lemon or almond. We also make wine biscuits with olive oil, but they include only fennel seed. I'm not sure exactly what he is thinking of. I hope he has a wonderful birthday! I'm living in Ireland and have longed for a pizzelle iron/maker for the last 15 years to make these like my Nana used to. This week Lidl (in Ireland) have an electric waffle cone maker which I hope will do the trick and I just checked to see if there was anywhere in the UK that sells the pretty designed ones like my Nana used to use (they were like lace and flower designs from memory.) ...And I happened upon this website- it's a very plain square iron that you use on top of the cooker- but it may be of use to those of you living far from your Italian family. Oh my ... Pizzelles!!! This are total YUM! My grandmother made this and I still remember them very well. Fresh off the iron press . Man! Good Good stuff! I have been on the hunt for the old fashion Pizzelle press she used to have. Made on at a time and had a beautiful flower pattern on it. MAC-Sorry I couldn't respond sooner. I'm doing book signings and traveling. Well, from your comments, it sounds like two diff. problems. Re: not filling the molds, is the batter too thick, and you mean you can't spread it to fill the form? As for overflowing, that's b/c the batter is too thin and needs flour to thicken it. Good luck! I can't wait to try this recipe. I just found a Pizzelle iron at a thrift store - I've been wanting one for YEARS! It sounds delicious. Thank you! I have an old italian recipe for Brigadini (tuscan) which uses olive oil instead of butter...(stemming from the oldest versions of this recipe)...could I use it instead of butter in your recipe? 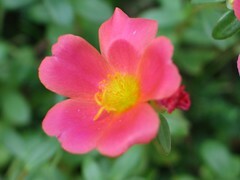 ?..Thank you so much for any enlightenment!! donna- I can't say for sure since I've never done so. My instinct is to say that they'd be too oily and soft.